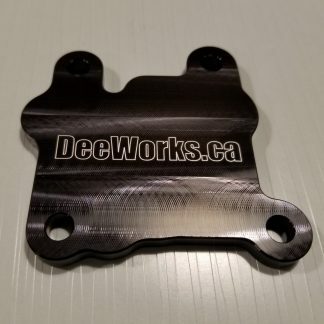 Bringing your ideas to life! 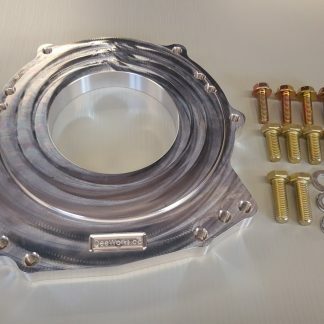 Mount a T5 Transmission behind your T5/T6 engine. 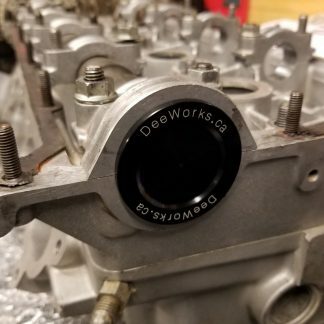 Another swap that is getting more popular is to swap a 5 cylinder engine from a whiteblock equiped car into a RWD volvo chassis. The biggest part of the puzzle is now well covered with these adapter that allow you to mount a Ford T5 transmission behind the powerplant and enjoy shifting gears with the nice soundtrack of the volvo 5 pot up front. T5 are easy to find and can be rebuilt for cheap and can be made to handle a lot of power, making them a good trasnsmission choice for an easy swap. 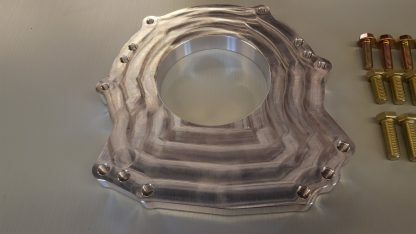 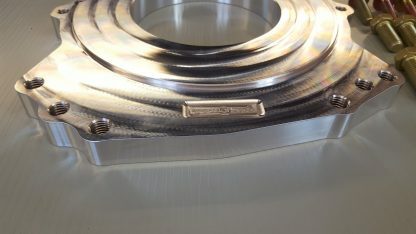 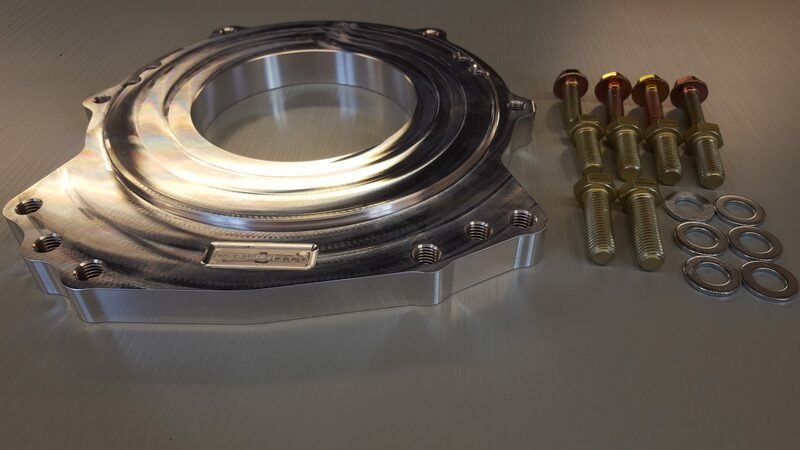 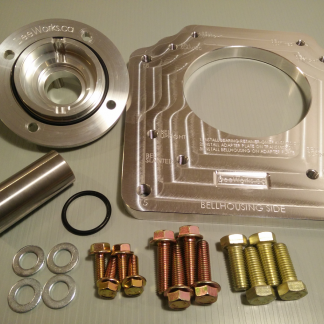 These adapter are CNC Milled out of 6061-T6 Aluminum and will perfectly mate your T5 bellhousing to the T5 transmission. 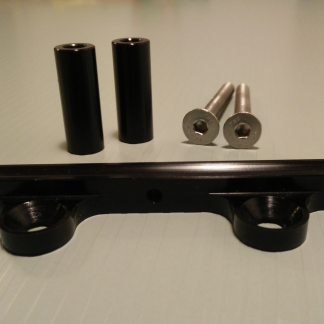 They feature two sets of tapped hole allowing you to mount the engine slanted or straight. 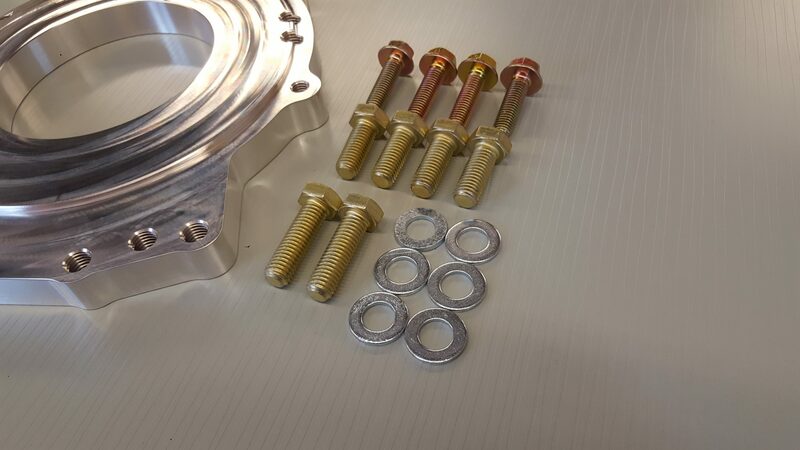 All bolts are included. 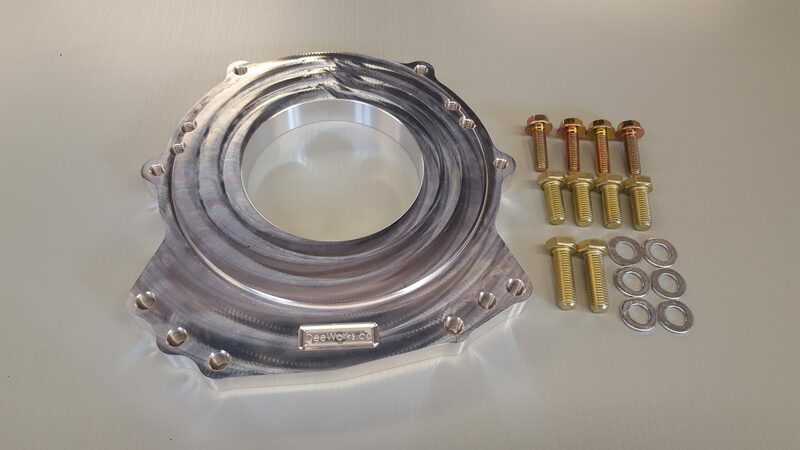 All information regarding the swap (Clutch/Flywheel/PP combo, Clutch Hydraulic, Driveshaft etc…) has been well documented over the years on the turbobricks.com forum and is left to the end user. If you have swapped a T5 engine into your RWD car or plan to do, then this step shouldn’t cause you any concern.